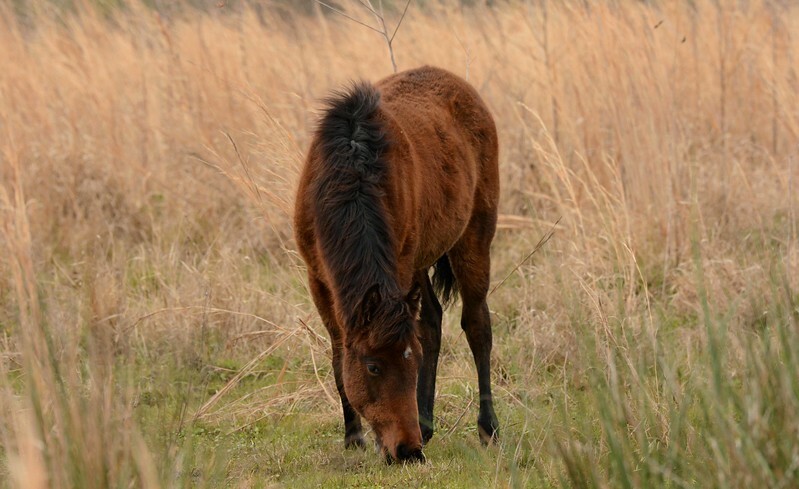 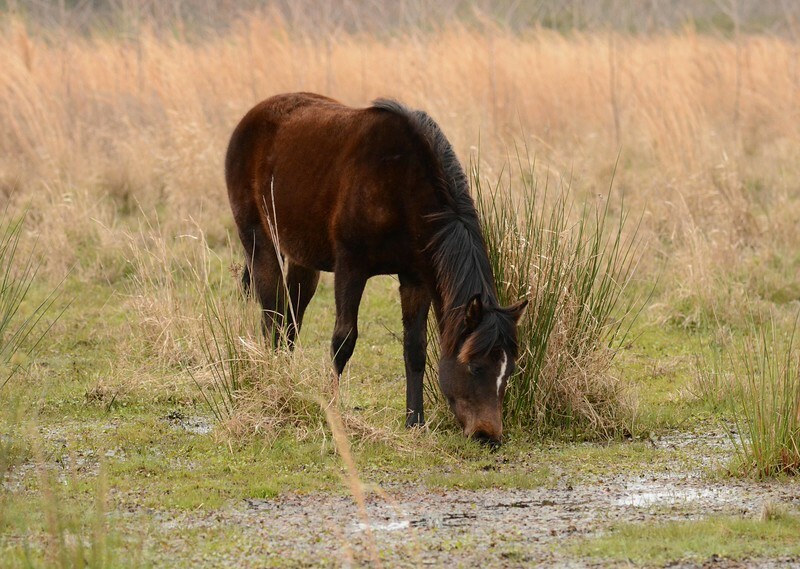 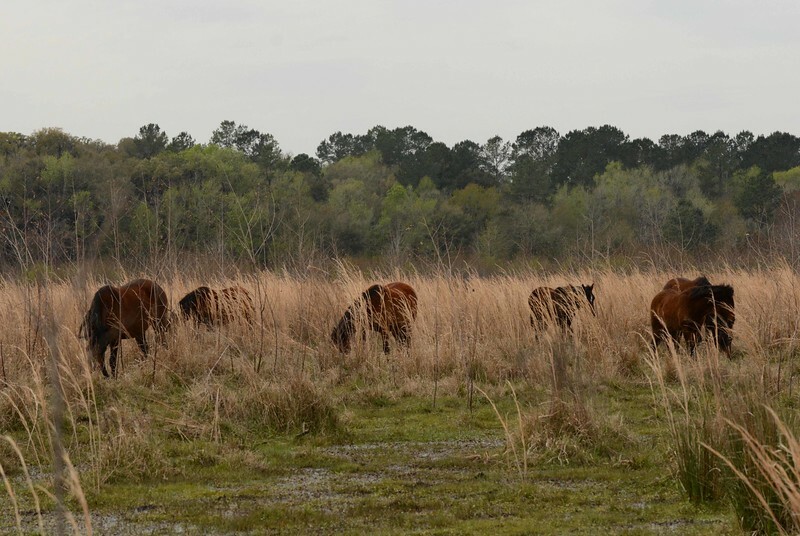 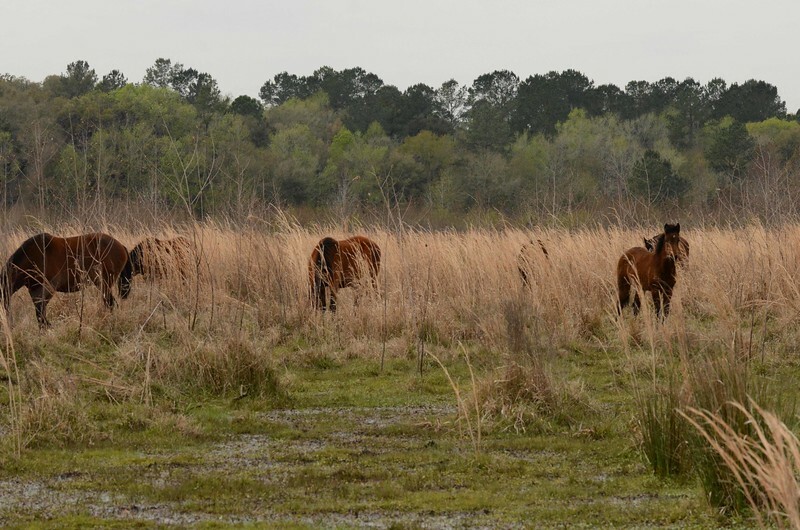 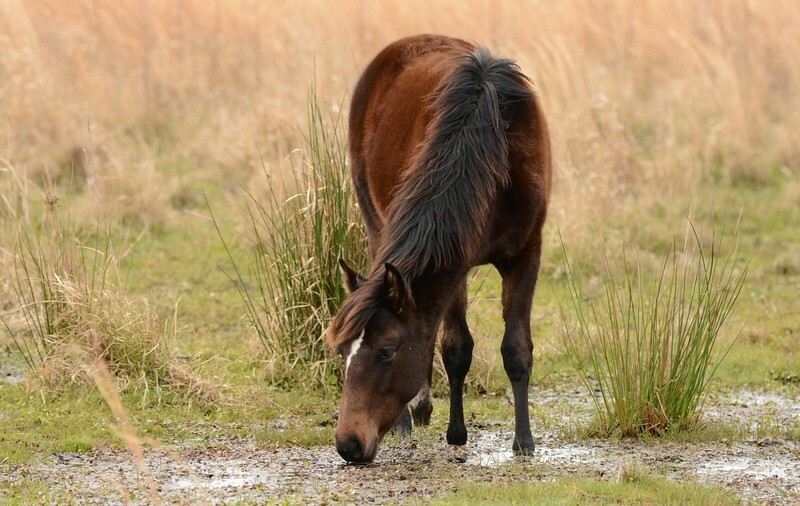 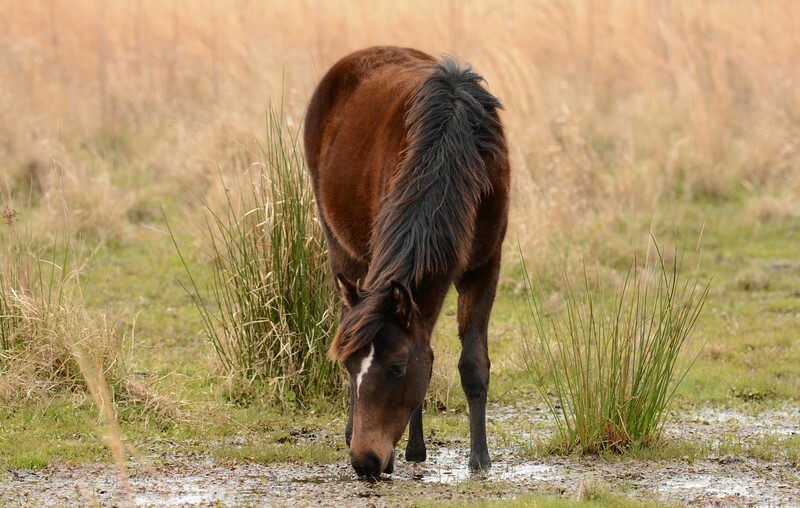 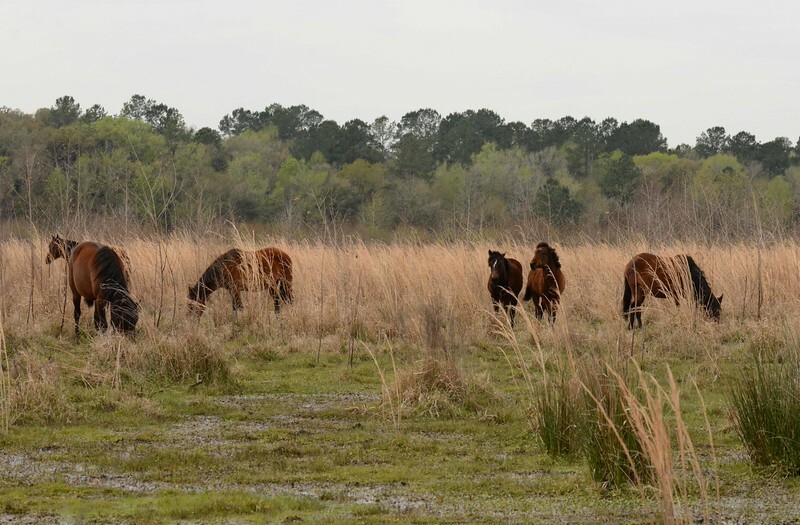 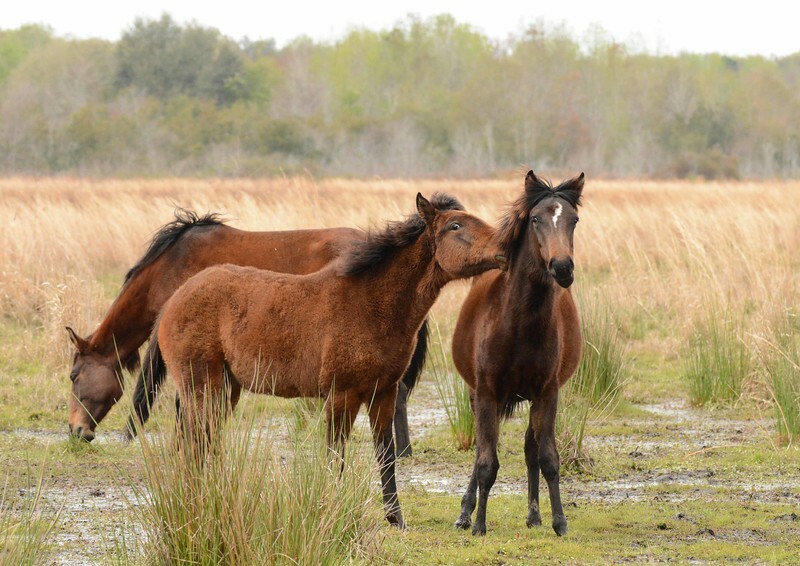 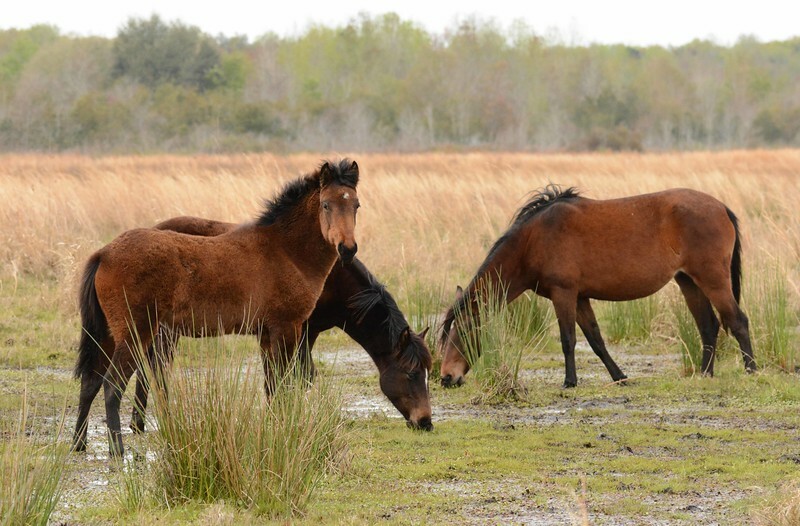 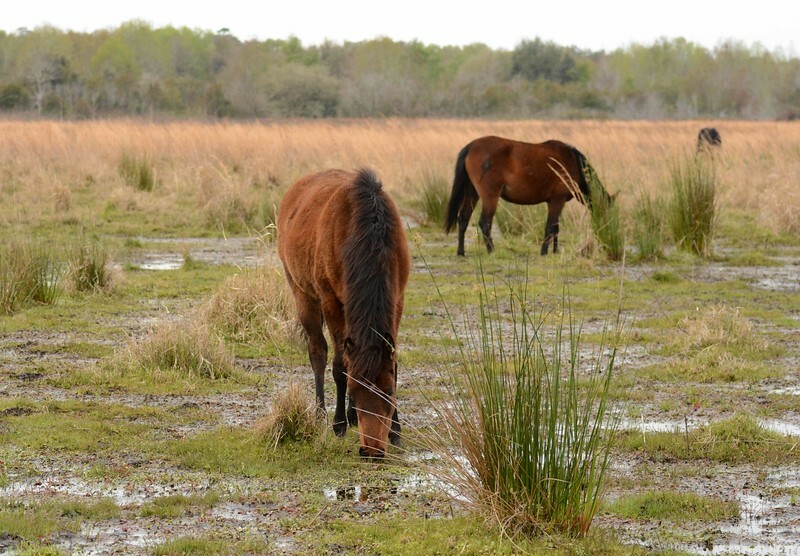 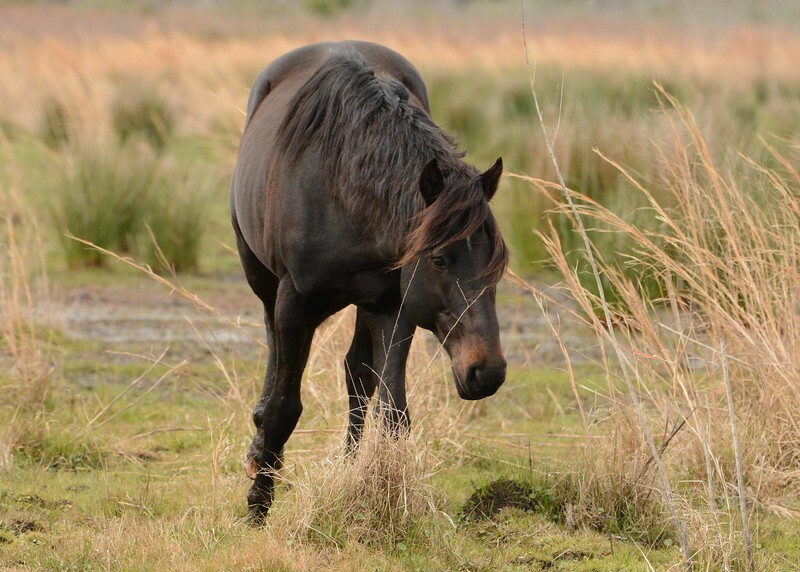 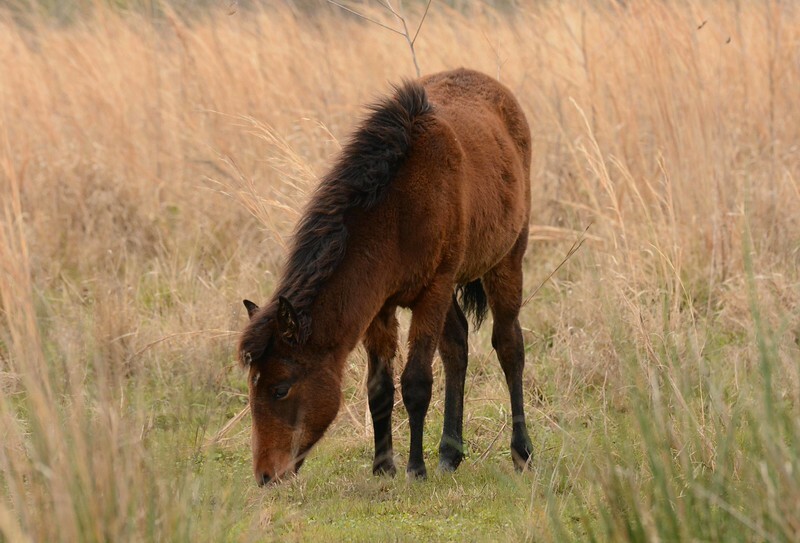 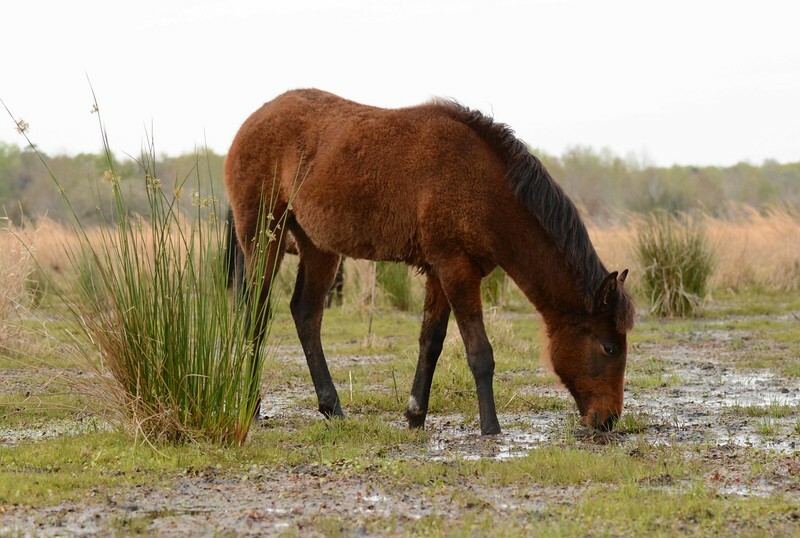 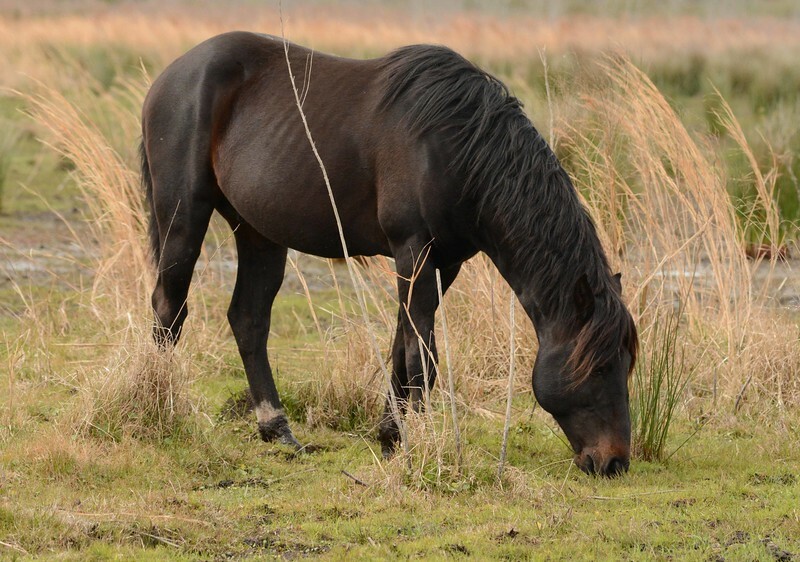 This encounter features a band of seven "Cracker" horses -- Equus caballus, in Paynes Prairie SP, Alachua County, FL. 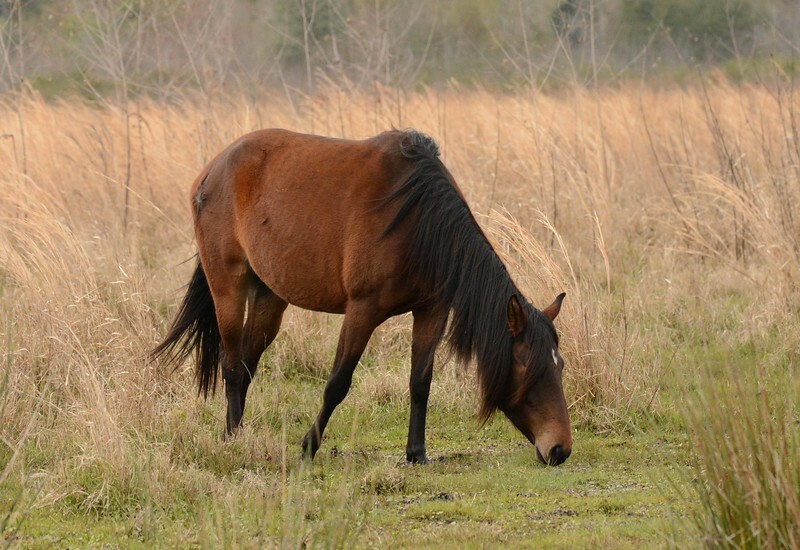 Crackers are descendants of Spanish horses that arrived with Ponce de Leon in 1521. 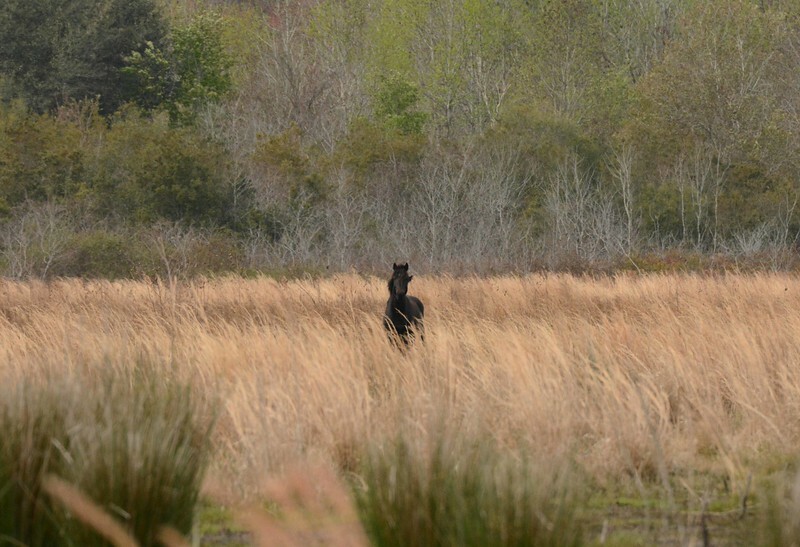 ...but this mare also studied us a good while from a distance. 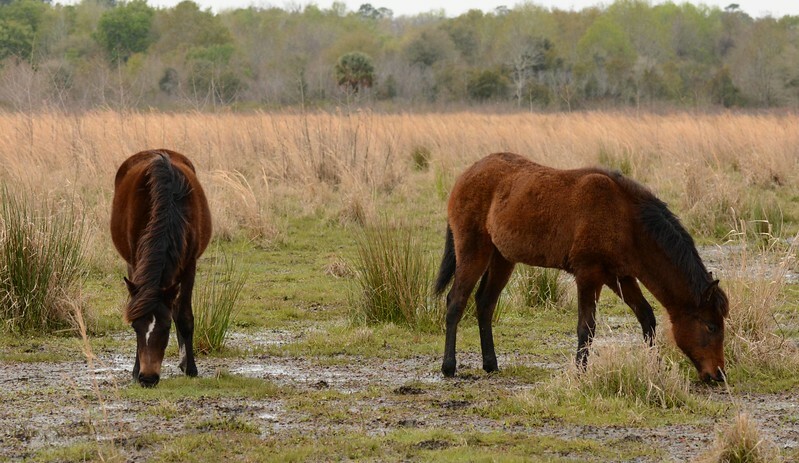 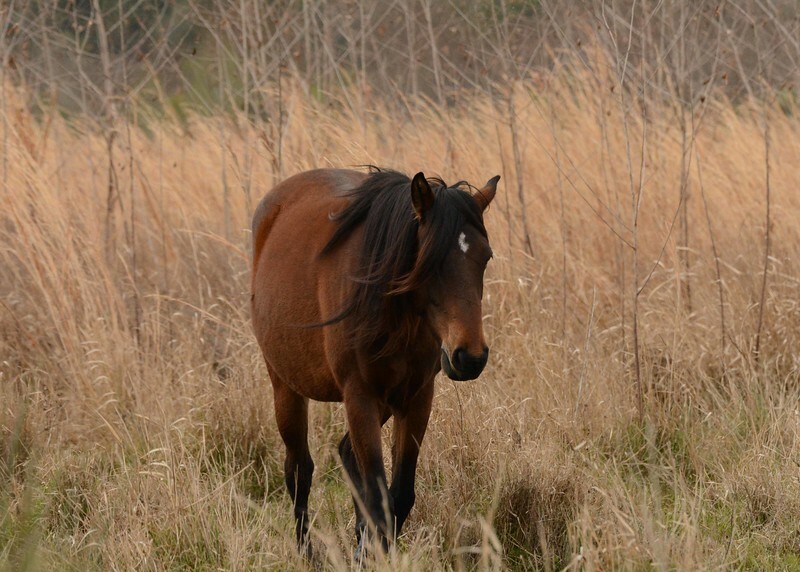 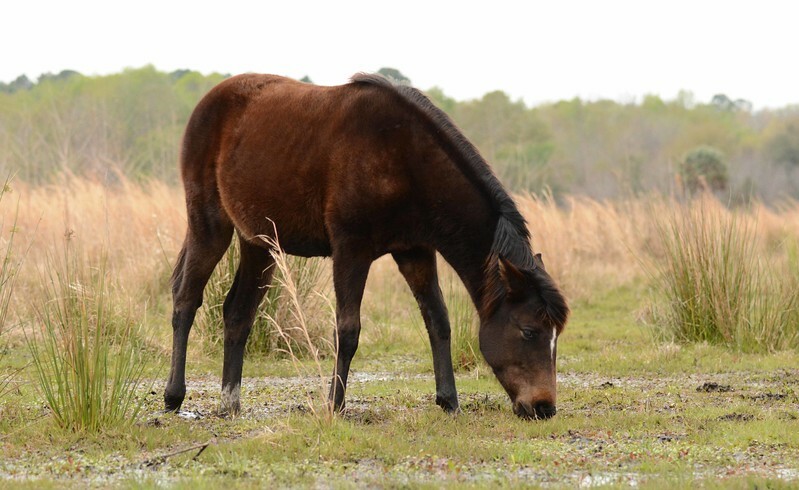 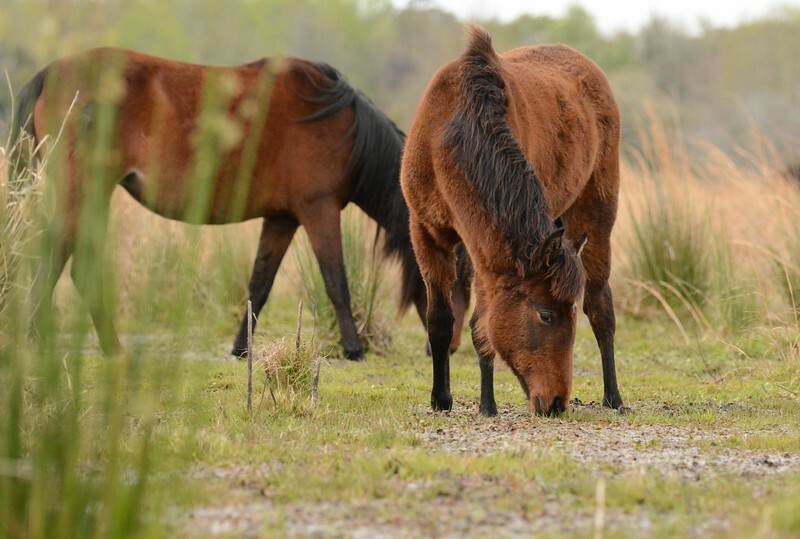 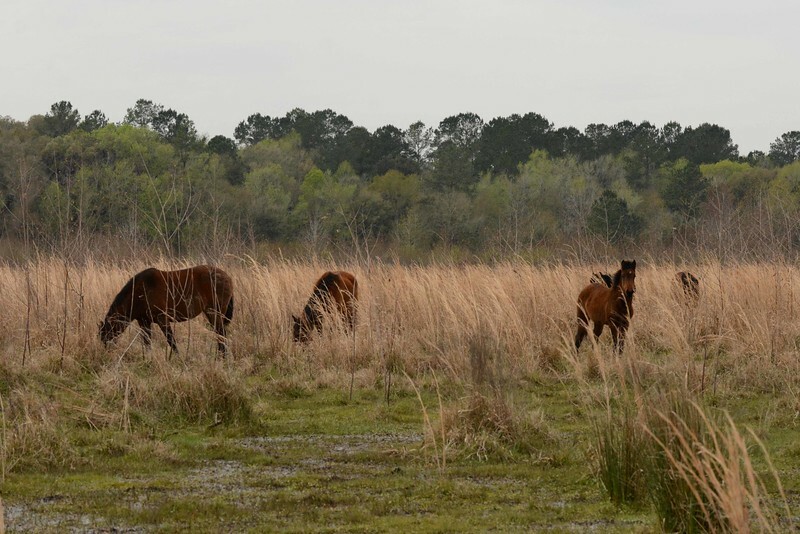 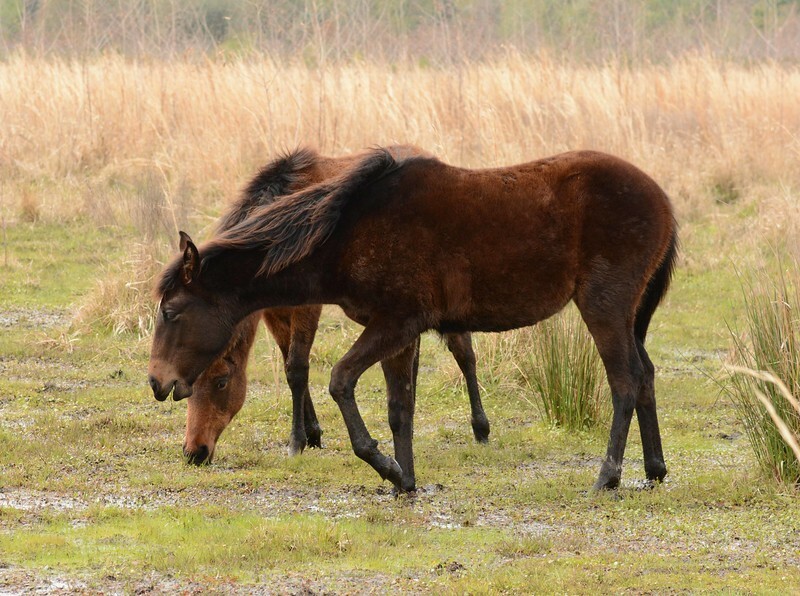 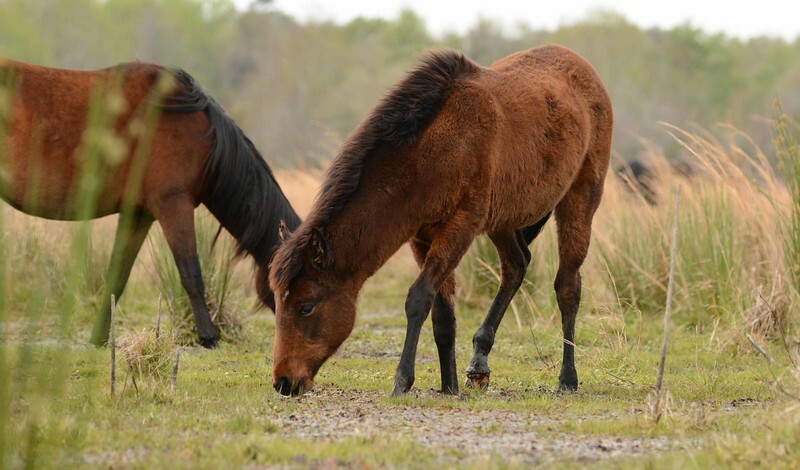 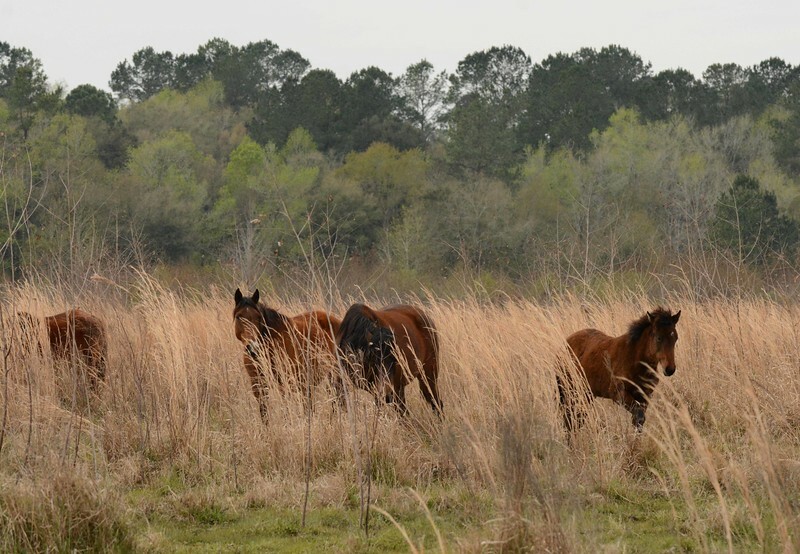 These horses are a living piece of Florida history once vital for agriculture, ranching, the Seminole, and both gray and blue forces during the Civil War. 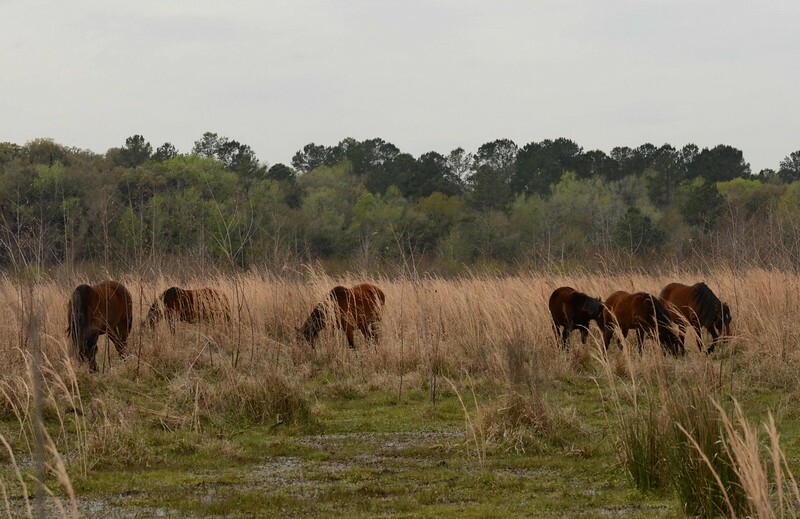 Florida's first preserve (est. 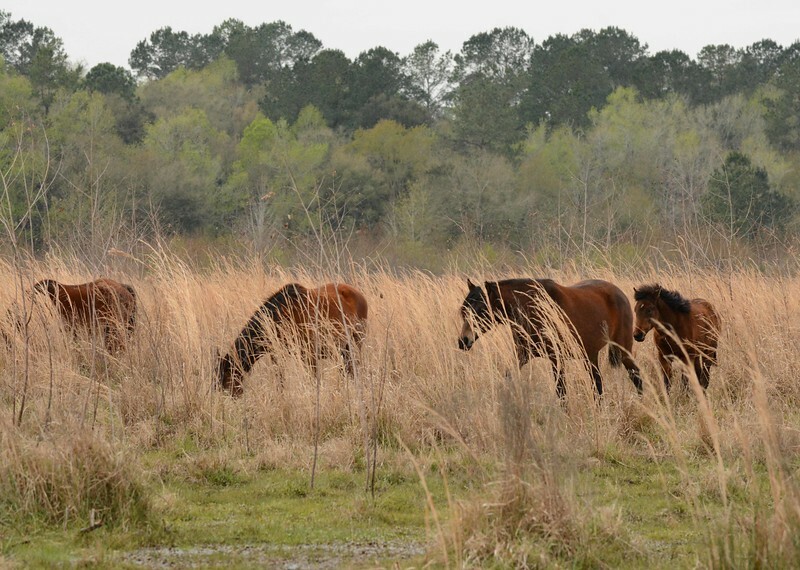 1971) is also a National Landmark (est. 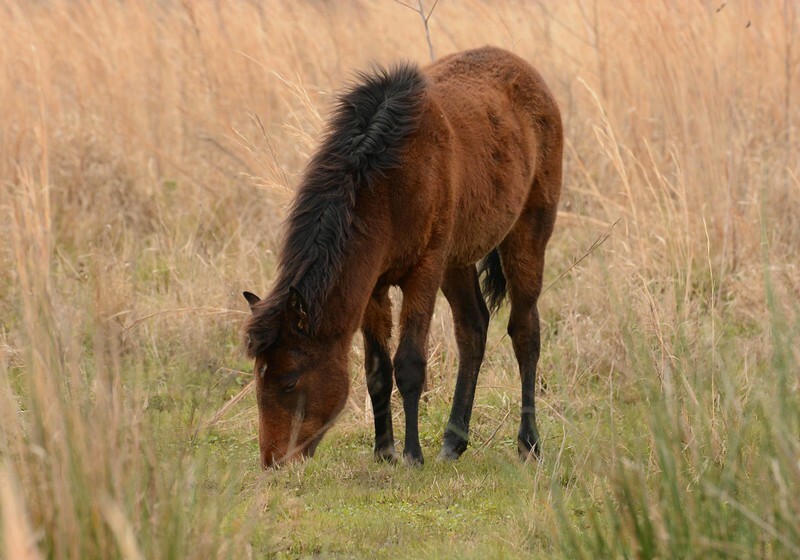 1974). 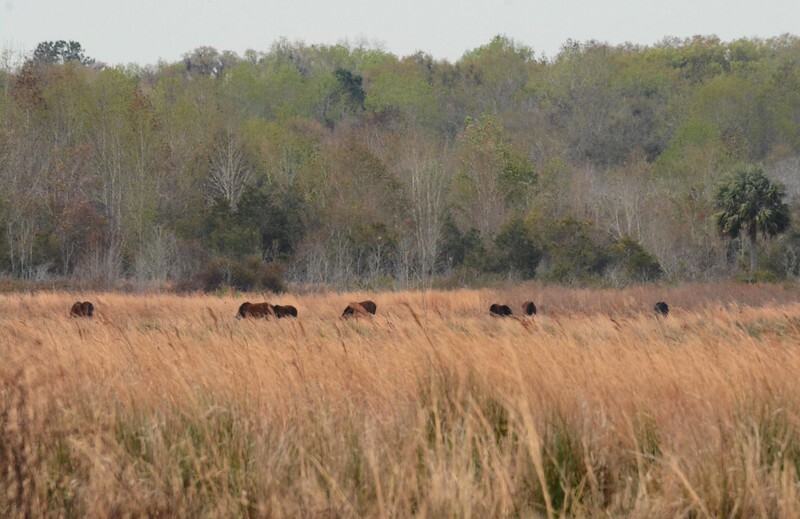 King Payne led Seminole battles against both the Spanish and early Americans. 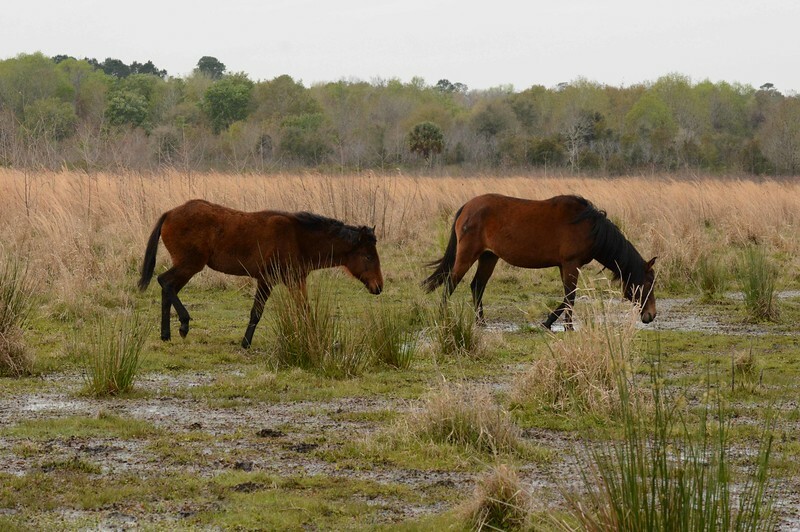 This park includes some of the original Alachua Savannah he fought to defend. 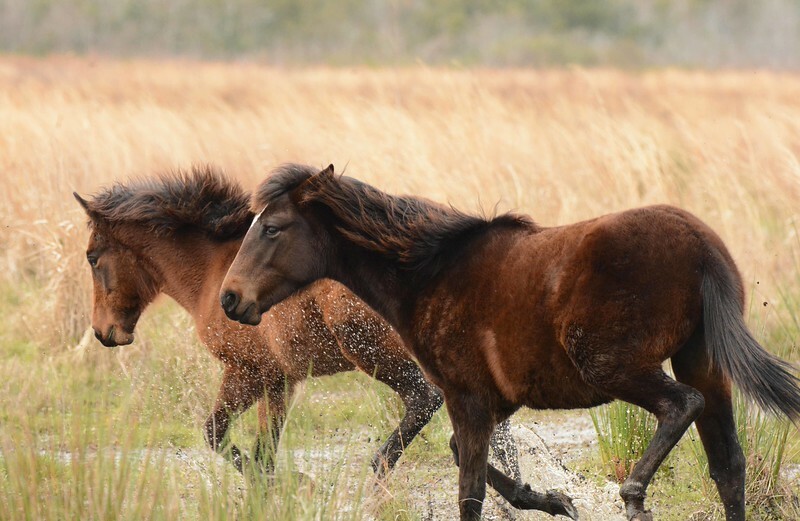 It became clear that there were two younger horses in this band. 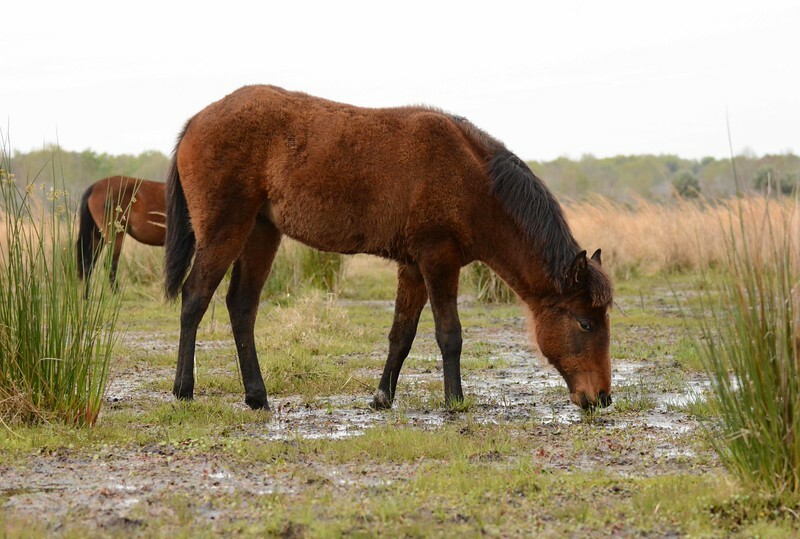 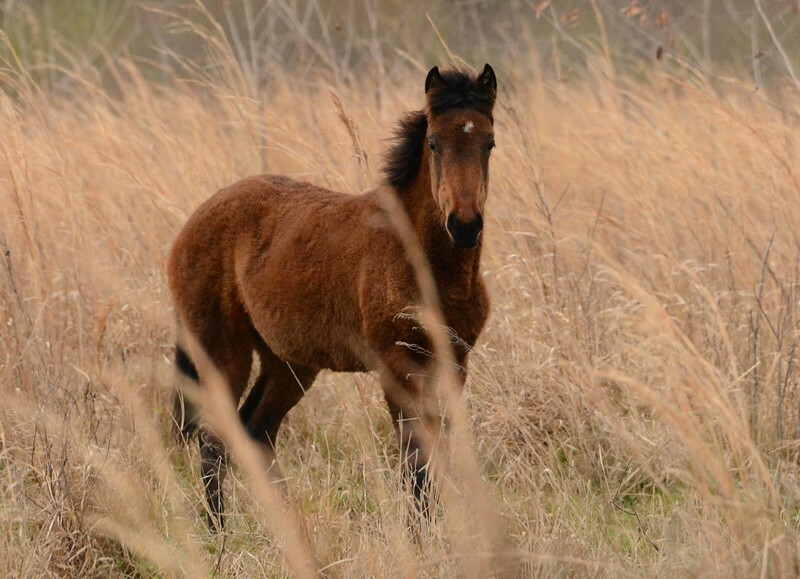 This mare seemed to be the mother and guardian of the young, and possibly carrying a foal. 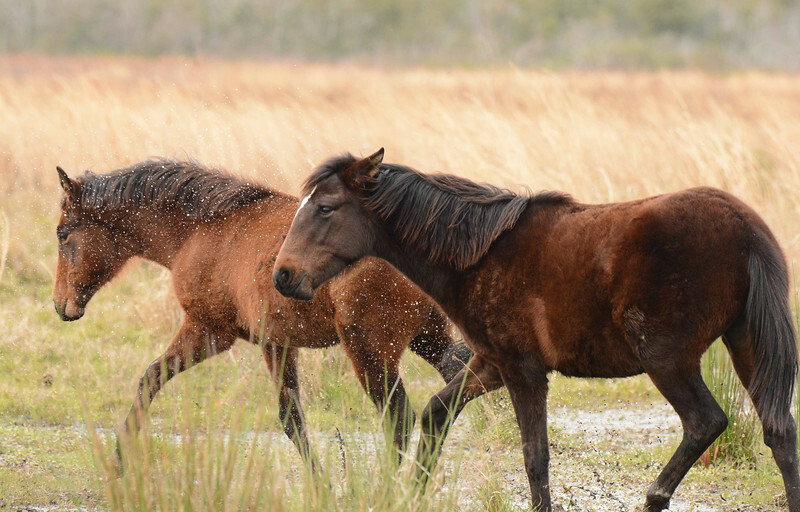 These agile horses were well-suited for managing scrub cattle until screwworms arrived with dust-bowl cattle in the 'Dirty Thirties.' 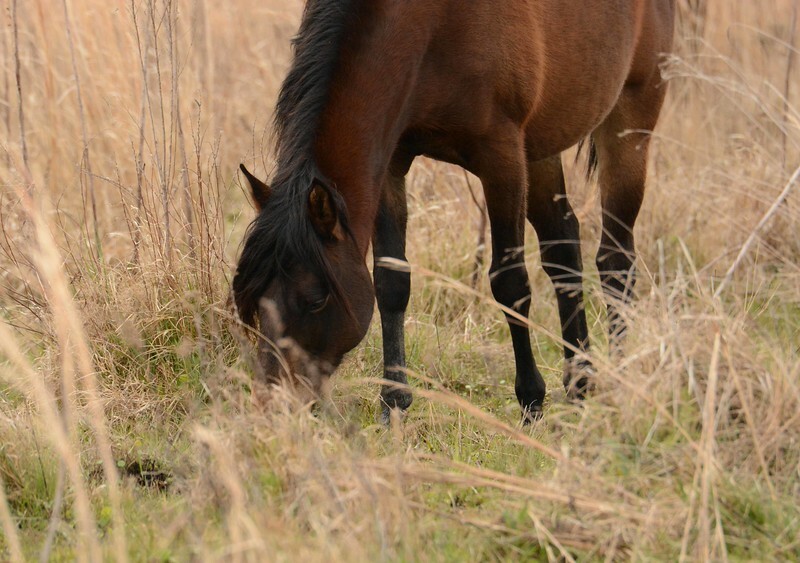 That problem required a lot more roping, and Crackers were replaced by Quarter Horses. 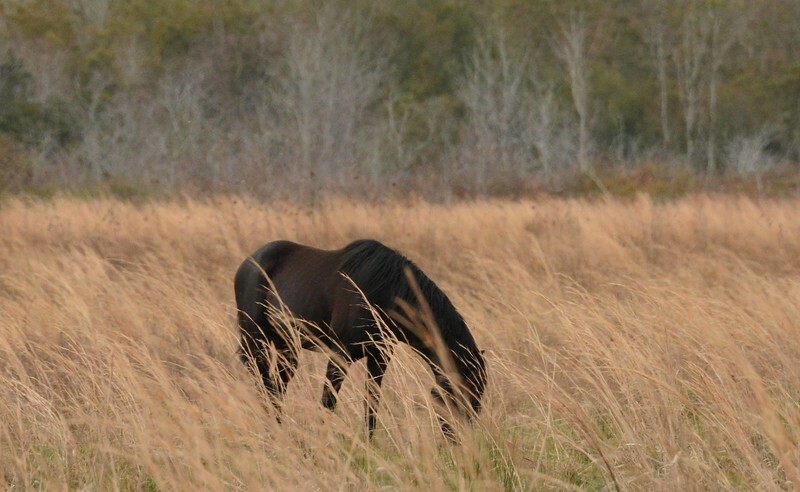 "God forbid that I should go to any heaven in which there are no horses." 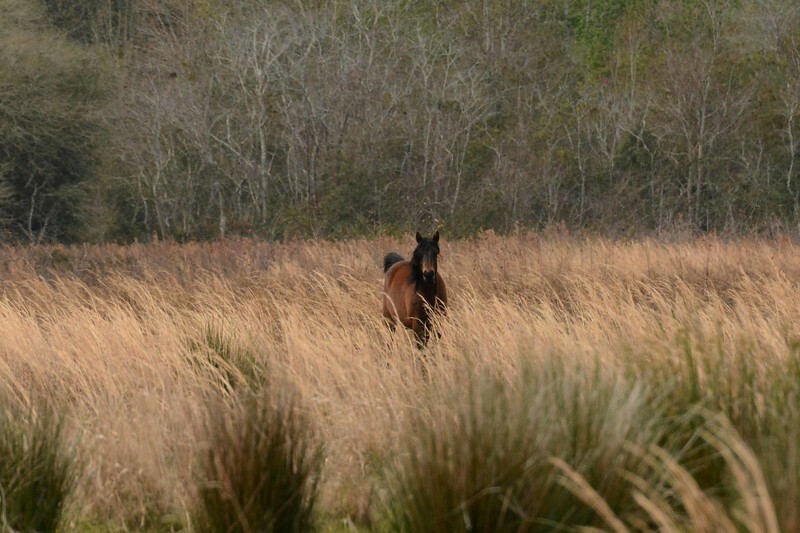 ~ Robert Graham in letter to Theodore Roosevelt, 1917. 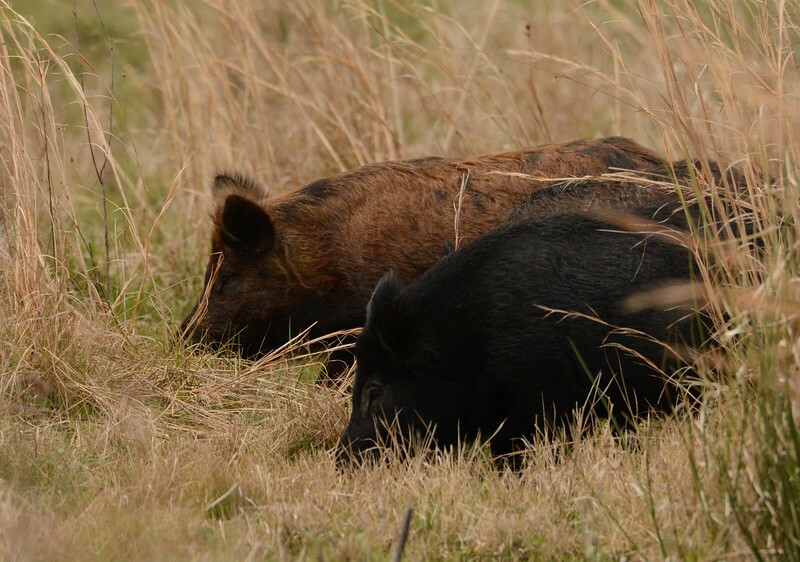 We were joined by three wild pigs -- Sus scrofa, and for a while did not want to surrender the privilege of Cracker company in the prairie named for King Payne.